U.S. Sen. Tom Coburn’s current campaign to expose fraud in the nation’s disability program is a case of misplaced priorities. Why not go after wasteful military spending or audit and investigate defense contractors? The U.S. spends more than $700 billion a year on defense. Surely, there’s some fraud or at least some bad practices in how that money gets spent. Instead, Coburn targets a program that actually pays extremely little to its truly disabled participants, who now may end up suffering even more. Of course, all government fraud and waste is bad. Let’s end it. But why pick on a program for the disabled? That’s just cruel. 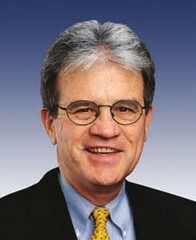 Coburn is leading a government investigation into the Social Security Disability Insurance program. On Sunday, 60 Minutes aired a segment that purported to show abuse of the system in West Virginia. The segment alleges that an attorney and some doctors in West Virginia colluded to help people receive disability payments even though they weren’t actually disabled. According to Coburn, who was quoted extensively on the segment, such abuse is widespread. He told a 60 Minutes reporter, “Probably a third of everybody on disability, there’s no way that they’re disabled.” It makes for good television. But many of those organizations who help the disabled pointed out the segment for what it was: Sensationalism. The General Accounting Office, according to a Media Matters critique of the segment, has pointed out that fraud accounts for only one percent of disability payments. It should be clear that Coburn’s agenda is purely political. He has often agitated for cuts in so-called entitlement programs, such as Social Security, and this is a way for him to further that GOP cause. Unfortunately, as those in the disabled community argue, he’s hurting vulnerable people who desperately need government assistance to survive. Even those who are supposedly scamming the system, and most are presumably unemployed, are only getting around an average of $700 a month. I realize there are a lot of people in Oklahoma who view Coburn as bipartisan and fiscally responsible. I’ve never been one those people. Appearing on 60 Minutes is just another one of his political stunts to further the radical GOP agenda.